The Dark Side of the Moon - Essays and Articles by Jim Freeman: Fracking: After protecting First Responders, who protects the Public? Fracking: After protecting First Responders, who protects the Public? John Upton at Grist wrote an interesting article recently and I understand the need to protect first responders from the unknown chemicals they must often fight in fracking accidents. You probably do as well. It makes sense that these men and women should and must know what they’re up against. Thus far, the fracking industry has refused to disclose just what they pump into the ground on the basis of it being a trade secret. Well, that’s just dandy. 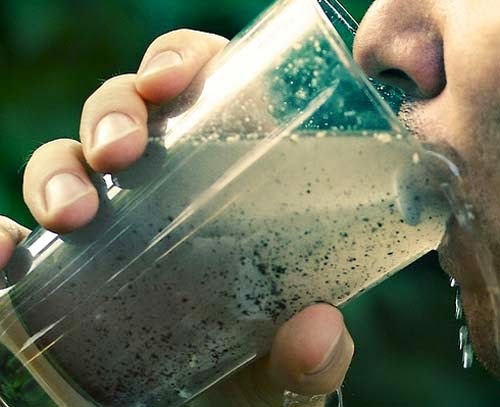 Whether or not you have a fracking accident in your area or not, the very industry that’s charged with causing earthquakes in areas where none have a history and lighting your drinking water on fire, hides behind a ‘trade secret’ to deny disclosure. And we live with that. Just like meek and mild puppies, wagging our tails, we fail to rise up and ride these three Republicans out of town on a rail. Senator Bob Rucho is one. His top campaign contributors are Piedmont Natural Gas and McGuire Woods, a lobbying firm that shills for Halliburton, Koch Industries, and other dudes in the oil and gas business. Senator Andrew Brock gets his dough from from Duke Energy, a North Carolina based utility with a stunning record in environmental disasters, along with Senator Buck Newton. Both are also regulars at the McGuire Woods feed trough. None of the three ever reported having their drinking water catch fire, although all of them ought, in a more equitable society, to have their pants endangered. Senator Andrew Brock, just 30 years old, can smell the fatback fryin’ and is no dummy when it comes to who sets his personal table. An admirable young man, he’s currently the Deputy Republican Whip and whip he does, mostly on behalf of the North Carolina Free Enterprise Foundation, who named him a ‘most business friendly Senator.’ Well, I guess. Three of their four Founder Level Sponsors are Duke Energy, McGuire Woods and the North Carolina Association of Electric Cooperatives. The Foundation’s motto is “Building a Better Business Climate in the Old North State,” no matter whose water faucet catches fire. Senator Bob Rucho is either more or less of a dude, depending upon your opinion of his tweet: “Justice Robert’s pen & Obamacare has done more damage to the USA then [sic] the swords of the Nazis, Soviets & terrorists combined.” But Bob is sixty-six years old and should know better. Senator Buck Newton, with the best name of the trio, is a newbie in the Senate. But he’s a lawyer who tried to pass a bill that would to pass a bill that would change North Carolina law to prevent citizens with felonious records from voting for five years after release and/or probation. Perhaps he was thinking about his second shot at getting re-elected. But they’re all in the arms of the money-boys and in favor of whatever happens to the common old North Carolinian, as long as it’s not to them. The Mining and Energy Commission Chairman, Jim Womack made the amazing comment that "You're more likely to have a meteorite fall from the sky and hit you on the head than you are to contaminate groundwater with fracking fluid percolating up from under the ground." One can but wonder where he got that scientific comparison. Perhaps from a dinosaur. Reminder: When things percolate, Bob, they generally percolate up. Check your coffee-maker. Now for you North Carolinians, it’s okay (I guess) if you don’t like Barack Obama or don’t give a damn if the NSA is looking down your shirtfront. Politics is a dirty game and most people would rather not look at it too closely. That’s okay with me and probably keeps you and your neighbor from fighting over the back fence. What is not okay is letting these self-serving bums wreck your drinking water for their profit and then walk away. You elected these conspirators and they don’t give a damn about you. You can un-elect them as well and let them find honest work robbing banks, little old ladies and children. Don’t worry about the first responders. Just like a heart attack, when the first responder is gone, you’re still the man, woman or child left to fight for your life.